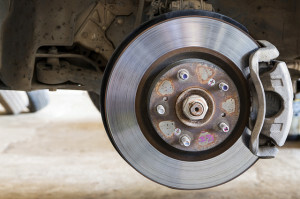 We can all agree that your brakes are one of the most important mechanisms in your vehicle. Ensuring that your brakes are working correctly and replaced frequently are very important to the safety of your vehicle. Here are some warnings signs that you may need new brakes soon. Inspect your brake pads frequently. If the outside brake pad has worn down too much, it begins to press against the metal rotor. It’s importantly that at least ¼ inch of padding is present on your brakes. If your brake has less than that, it’s time for new brakes. This loud and awful braking sound is called an indicator, giving owners a warning that brake pads are ready to be replaced. Be sure to listen for this every so often. You should be able to hear it with the windows up, but the radio turned down. Beware, if your vehicle has been sitting in or exposed to water for a long period of time, the moisture can cause the brake rotors to rust. This rust then develops a screeching sound when first applying the brakes. This sound should disappear after a few brake applications. If you hear the high-pitched screeching regularly, make an appointment with a mechanic. This one is pretty simple to spot. 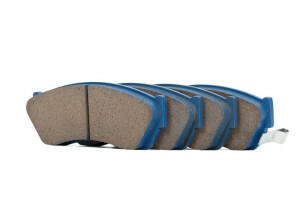 If you apply your brakes and your vehicle doesn’t stop as quick as it usually does, it’s probably time for new brakes. If your vehicle pulls to a certain side when braking, this is also a signal that the brake linings are uneven and should be replaced. Typically, any strange sound coming from your vehicle is indication that something is wrong. If it sounds like two pieces of metal are rubbing against each other, this could show the wearing of brake pads. When the disc metal and caliper metal are grinding together, your rotors can scratch and create an uneven surface for braking. If you aren’t sure if your brakes need replacement or not, see one of our certified mechanics today. They will give you an idea of the time span of your brakes, and let you know if it’s time for new brakes or brake pads.